Thanks to Twitter (see, it IS good for something! ), I found tickets to the sold-out Neil Gaiman talk at the Boston Museum of Fine Arts on Saturday, “Myth, Magic, and Making Stuff Up.” Gaiman is not only an excellent writer – of fiction for adults, teens, and children, of graphic novels, of nonfiction, of short stories – he is a great advocate for libraries, so I was doubly excited to see him speak. His first words to the audience were, “Hello. So, the plan. And I have one.” He then said hello to those watching/listening from the overflow room, and consoled them, “You wouldn’t believe what it smells like in here.” For the rest of the hour, he gave a prepared talk, then read us a draft of a new story(! ), then answered questions from the audience. After his prepared talk, Gaiman read us a story called “Freyja’s Unusual Wedding,” a retelling of an old Norse myth featuring Freyja, Thor, Loki, and the giant Thrym. I’m unfamiliar with the original, but in this version, Thrym steals Thor’s hammer, Mjolnir, and demands Freyja’s hand in marriage in exchange for its return. Freyja, naturally, declines to be married off to the giant, and Thor and Loki must come up with an alternative plan. “Freyja’s Unusual Wedding” is to be part of a collection of retellings of myths that Gaiman plans to spend 2014 working on (among other things, I’m sure), and the audience reaction was strongly positive. The question and answer session was relatively brief. 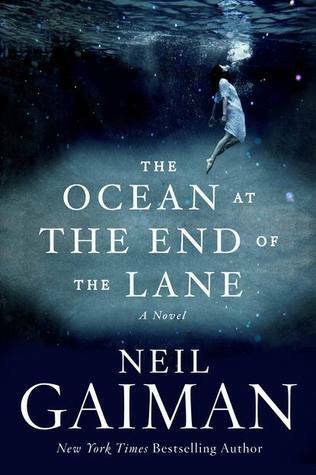 One person asked about the role of rules in myths, citing examples from Gaiman’s newest adult novel, The Ocean at the End of the Lane. 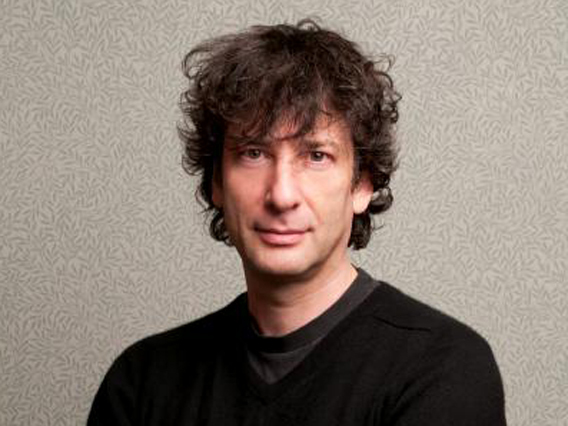 Gaiman responded that myths once had a useful function as a teaching tool in society, but noted, “I have always been very fond of not telling what the rules are.” He pointed out that whenever he has met with people in Hollywood meetings about his projects, someone has inevitably said, “I don’t really understand what the rules are,” to which he replied, “No one understands what the rules are.” That’s what makes life – and stories – interesting (or scary). The last question was from a teacher, who mentioned the recent change in the core curriculum, a shift toward more nonfiction. He asked if Gaiman could recommend some nonfiction he liked. Gaiman said that he hadn’t really started reading nonfiction until he started writing fiction and realized “It all had to come from somewhere.” He recommended two of his favorite nonfiction books: Extraordinary Popular Delusions and the Madness of Crowds by Charles MacKay (1841), London Labour and the London Poor by Henry Mayhew (1967). For those who missed this event and are interested in what Gaiman has to say, I recommend his recent commencement speech (video). For those who are interested in reading some of his work, check out A Calendar of Tales for free – twelve short stories, one for each month of the year, inspired by prompts on Twitter. AMAZING! I got to see Neil Gaiman recently when he appeared as a panelist at The Connecticut Forum (I blogged about it here: http://librarysarie.typepad.com/librarysarie/2012/12/vision-and-brilliance.html ) and one of the highlights of my life was when I got to talk to him and shake his hand at Book Expo several years ago. I seriously contemplated never washing that hand ever again. It sounds like a fabulous experience and I’m so glad you got to go! Sarah, it was amazing! There was no hand-shaking or book-signing afterward, but I took notes (as is my compulsive habit) and the talk and the story were wonderful…the whole audience just basked in the magical glow. I didn’t take a picture (verboten! ), but the way the lights were positioned, there were crazy shadows on his face from his wild hair.